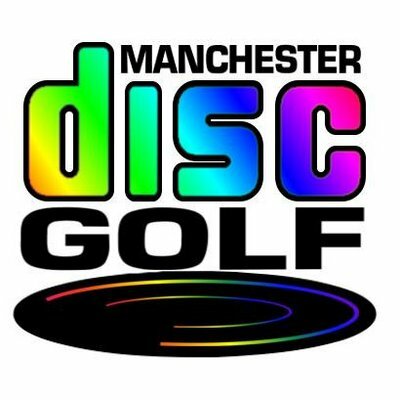 Manchester Disc Golf Member Discount -£1. If you are a member of Manchester Disc Golf, then you qualify for the discount. 4) The shirts will be available in sizes S-3XL. Players are only allowed to use the three discs provided by the tournament director. 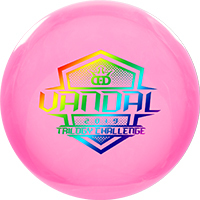 The Vandal flies like a longer Maverick, so it’s extremely versatile. Newer players will love the straighter lines they can throw, and players with more arm speed will enjoy it for easy turnovers or rollers. The Vandal is built to carve up any course with dependable turn and sneaky speed. I’ve never played disc golf. Is the Trilogy Challenge for me? Yes, anyone can play. The most important aspect of the Trilogy Challenge is to get new players out to play disc golf and to have fun! Don’t be discouraged or nervous to attend a Trilogy Challenge if you have never played disc golf. This is a perfect opportunity to get started. Are the three discs in the player pack approved for a PDGA event? 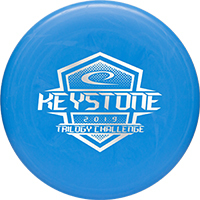 Yes, all three of the discs will be PDGA Approved by the time you play in a Trilogy Challenge and you will be able to use any of them in a PDGA event as soon as you receive them in your player pack at a Trilogy Challenge. If you want to see who's signed up follow the Facebook event, where each team will be announced as they sign up. Who can come up with the best team name? We’ll create a facebook poll and let you choose. *The team entry fee covers the entry for two players. Players must register together as a team. A £0.99 DiscGolfScene registration fee and a 2-3% PayPal transaction fee will be applied at check out. **The 'Need a Team Mate?' division will be mixed randomly on the day and moved into the 'CASH & CASH' division. Please note that the registration process still requires you to fill out the form for two players, so simply enter your own details twice. In the event of odd number, a staff member will step in to save the day. Round - Modified Best Throw. Please insure you have read and are up-to-date with the PDGA Doubles and Team Play Disc Golf Rules. Round 1 - B. Modified Best Throw. Both team members throw from the teeing area. The team then chooses which of the two positions to play from for the next throw. Both team members throw from the resulting lie, and the team again chooses which of the two positions to play from, and so on. A team completes a hole when either team member completes the hole. The score for a team on a hole is the number of throws for the lies that were played, plus any penalty throws. If a team picks up a thrown disc before a lie has been chosen or marked with a marker disc, the team may not choose that throw. If a team picks up both thrown discs without a lie having been marked, the second disc to have been picked up is replaced to its original position as agreed upon by the group, and the team must play from the resulting lie. If one team member is absent, late, or ceases play, the other team member may play, but no throws are made on behalf of the missing team member. A late team member may join play only between holes. 1. Modified Best Throw is the same as Best Throw, with the following variation: The Director may set a limit on when the team may use each member's tee throw. The team receives two penalty throws each time that limit is exceeded. The team chooses which member makes the first throw on the first hole. Each team member then throws from the lie resulting from the previous team member's throw, and so forth. The score for a team on a hole is the number of throws by that team, plus any penalty throws. A throw by the incorrect team member is a misplay and incurs one penalty throw. The throw is disregarded, and the correct team member throws. If an additional throw has been made after the incorrect team member has thrown, the team receives two penalty throws, and play continues. For any re-throw from the same lie, the same player makes the re-throw. The team receives a score of par plus four for any hole missed by a late or absent team member. If either team member withdraws or is disqualified, the team is disqualified. Sandwiches/ Batches - Cheese. Ham, Tuna Mayo, Egg Mayo or anything of your choice. Child & Child, Parent & Child, Woman & Woman, Man & Woman and Man & Man divisions play for prizes. The CASH & CASH division plays for cash only. Flat 70% cash payout, see the table below as an example. For example: Easter Doubles Tournament Cash Payout Table. This is a Professional Disc Golf Association and British Disc Golf Association National Tour Event. Two full days of Disc Golf at a BRAND NEW never played before course, at Inwood Camping, Basingstoke. Designed by Robb Hamilton, Tracey Hamilton, Dave Landreth, Daniel Daniel, James Clark and Olli Simonsen. Thank you to Beau Pettitt, Shaun Lewis, Jennie Lewis and the rest of the team mentioned above for your help! Stay up-to-date on the Facebook Event here. Please sign up using the registration link here. Event logo & player pack disc stamp. Designed and created by Shaun Lewis and Beau Pettitt. Disc Golf Scene transaction fee of £0.99 will be added to the entry fee at checkout. An additional handling fee of 2-3% will be added by PayPal. Registration CLOSES on Wednesday 6th February @ 8.00PM, this is so we can arrange the groups of players for round one. Please ensure you have paid in full before this date, or you will not be able to participate. Please get in touch for any questions or concerns. £50.00 Adults and £25.00 for Juniors. 1 x L64 Custom Stamped Disc - Latitude 64 Diamond 8/6/-3/1 - Understable control fairway driver - Great for beginners! 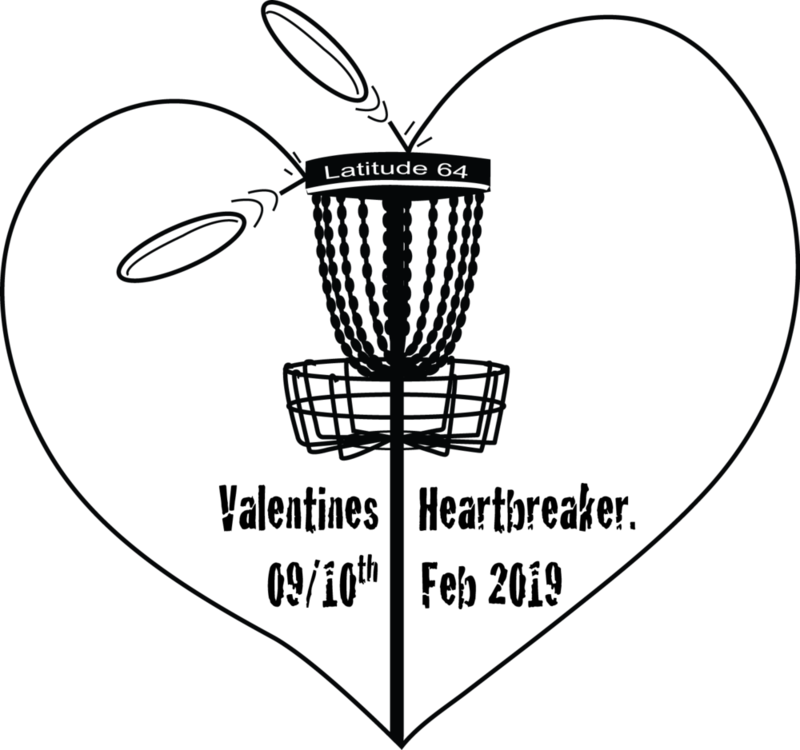 1 x Latitude 64 Sticker and Pencil. All weights, colours and sizes are on a first come first serve basis. The -£5.00 Early Bird Discount and -£2.00 Christmas Special Discount, will be added automatically when you register. Pre-registration or cash on the day accepted. Ace Pot is an optional extra. All the money in the ace pot will be shared equally by the total number of hole in ones by the end of the event. 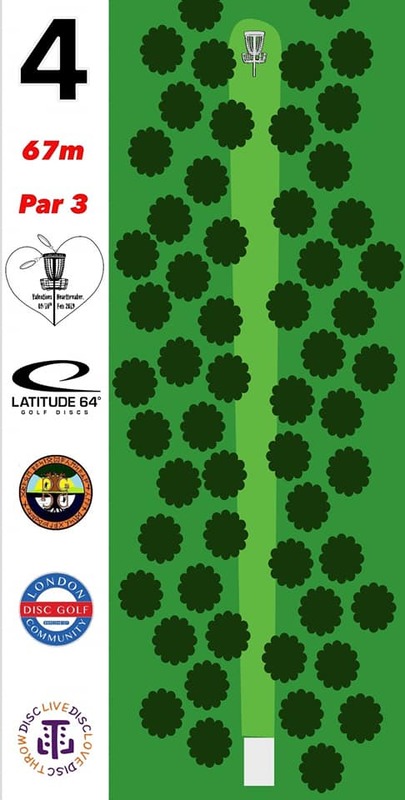 In the case that there are no hole in ones the Ace Pot money will be transferred over to the next London Disc Golf Community Event. 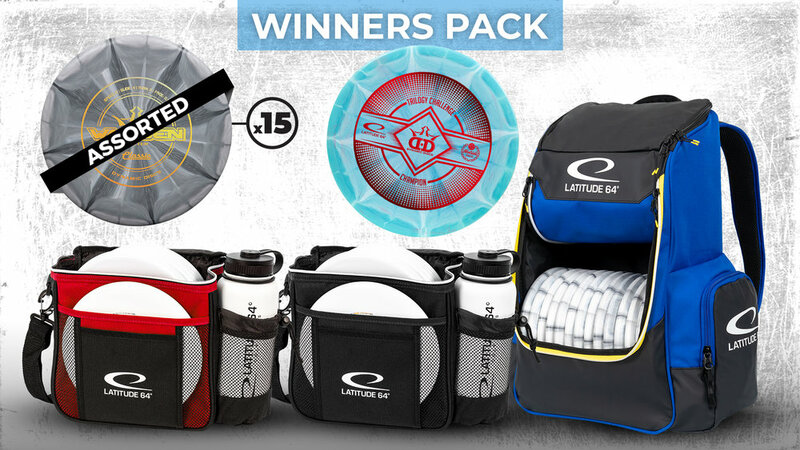 Extra incentive: a Latitude 64 Bag will be added to the ace pot money, if anyone were to ace hole 15. LDGC Ace Pot rules apply. 10 Ticket (60 pence per ticket) = £6.00 - New! Raffle Tickets can be purchase now, one the day with cash or both. If you have never played disc golf event before, or this is your first competition, we would recommend you sign up for MA4 - Mix Amateur Novice or FA1 - Female Amateur. All divisions qualify for BDGA Points and PDGA Ratings. 10:00am - 4:00pmCourse clear up and tidy. The Inwood Camping Basingstoke Disc Golf Course is very wooded and technical. As this is a brand new course, we will have rope between holes to guid you in the right directions. Once you’ve completed your hole, simply follow the rope to the next tee. We guesstimate that scoring par (59) would be equal to a 930 PDGA rated round. Search ‘Inwood Camping’ in the UDisc App to see the hole-by-hole layout. Their will be 9 Discraft Chainstar Baskets and 9 Disc Golf Park Baskets, thanks to Basingstoke Disc Golf and MrFrisbee. We will supply water, tea and coffee, which is included in your entry fee. Lunch is not provided, please bring your own or drive to the nearest super market to get a bite to eat. 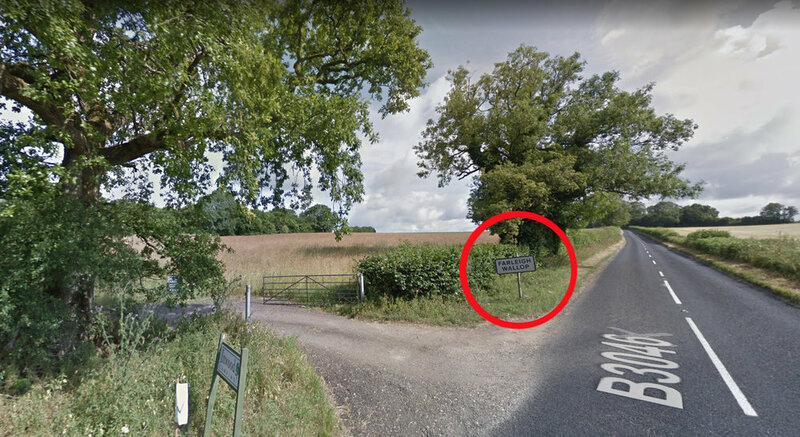 Sainsbury is 2.5 miles away, only a 6 minute drive. They have offered to make Bolognese, big healthy sized portions, both meat and veggie options, with chunks of fresh bread and butter. Dinner will cost £5.00 per person. Bottled lagers available at 4 for £10. Service will be begin at 6.00pm on Saturday. Please pay with cash or card on the day. Camping is available on site, included in your entry fee. One portable site toilet will be available for shared use. Please use respectfully. Limited car parking space available on site. Please park considerately. Additional prizes and a prizing schedule will be supplied once the registration closes. 1 Bag will be an Ace Pot prize. Hole 15 only. LDGC Ace Pot rules apply..
Groups will be announced on February 7th at 9.00pm. 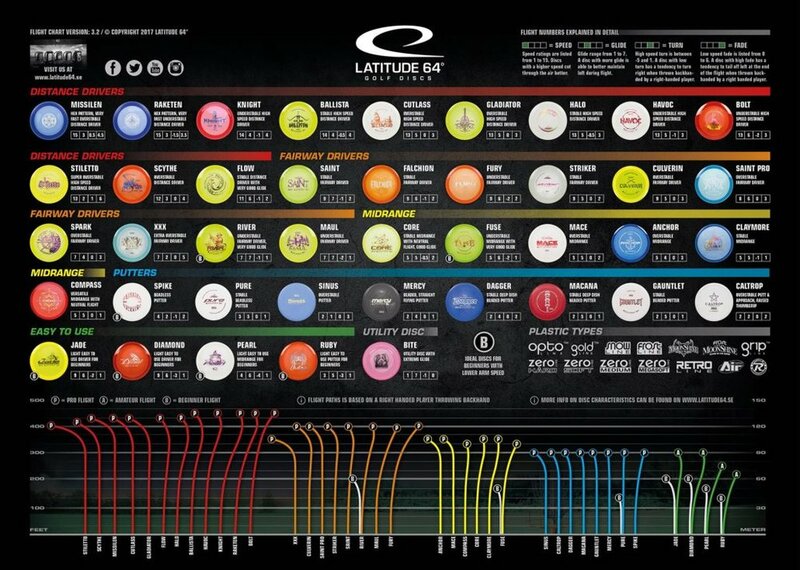 Latitude 64 is supplying custom stamped discs, tournament caps, beanies, stickers and Pencils. The Riverdene A.K.A Skewers Tavern is providing us with a venue to socialise on Saturday evening with a special food and drinks menu. They will also be donating 2 cases of Lager and 3 bottles of Wine, 1 Red, 1 White, 1 Rose. Matt Cutler from MrFrisbee will be bringing 9 Disc Golf Park Baskets for use all to use for the weekend, as well as donating 2 prizes for the raffle. The MrFrisbee Shop will also be open all weekend should you wish to purchase any discs. UDisc is once again supporting our super mega raffle with three one year UDisc Pro Subscriptions. 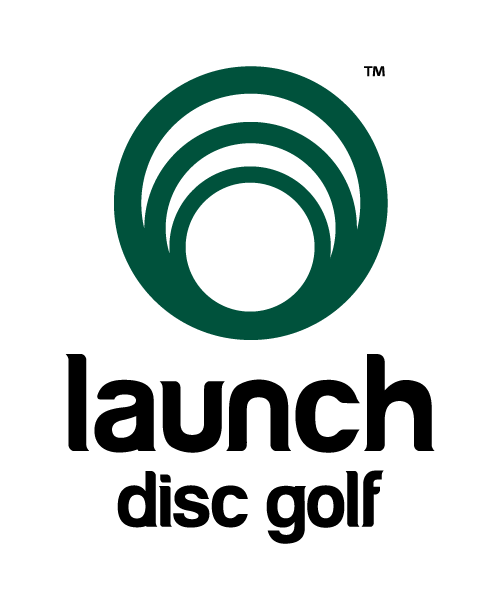 Dan Whitman from Launch Disc Golf is providing a free entry to any Down South Series Disc Golf Event of your choice as raffle prizes. Followup speech to the #BringDiscGolfToEaling Petition. Attend the Facebook Event here. It starts at 19.00, but you need to be there before 18.30 if you want to watch. The council will let people in on a first come first service bases. Please do not be late, as you may be turned away if attendance is full. Can I have disc golf equipment on the stage for visual effect? "...you could clutch a basket as long as you promise not to have people in the gallery throwing frisbees at it." Can I have more people on the stage or will I be on my own? "You can bring a Friend for moral support, but any spectators will have to go to the public gallery- we are expecting quite a crowd." Can I be able to show a PowerPoint presentation for visual effects? "No powerpoint- just a short speech." Please come and show you're support. I would like to invite people for a drink afterwards at The Grove Pub, W5 5QX, to discuss the success or failures of the evening. All included with your entry fee! I am new to disc golf. Should I be worried about being able to throw the Ace Race prototype disc? No, in fact just the opposite. Ace Race discs are created specifically for this event, and are suitable for all skill levels to throw. And remember that the event is about fun, not competing against players with more experience. Every player's chances are virtually equal. Ace Pot is an optional extra. All the money in the ace pot will be shared equally by the number of hole in ones by the end of the day. In the event that there are no hole in ones the Ace Pot money will be transferred over to the next LDGC Event. One must pay £2.00 to be eligible to win cash from the Ace Pot. 1 x Entry to Launch Disc Golf Down South Series No2. Thank you to everyone that travelled far and wide to spend the day with us at Brighton, I hope you all enjoyed yourselves and had an awesome time! Discraft will publish the name of the disc in the new year, once they've received feedback from all events and made final adjustments to the disc. Speaking of which, I would really appreciate some feedback from you. I want to know what your best moments were and how we can improve the next event? Any feedback is helpful, the good, the bad and the ugly, so thanks in advance! Mark and Dan had a closets to the pin (CTP) play off, on an extended tee of hole 3, and Mark came closer by using the assistance of the rough bushes on the right and kicked left towards the basket. 16 Aces (Hole in Ones) and 87 Metal Hits. Congratulations to all of you that hit aces, I trust you like the new Discraft Disc! Special Thank you to some amazing people! Thank you to James Burton for being the Co Tournament Director, Co-Organising, securing sponsors, but most importantly, Thank you for giving me the opportunity to work together with yourself and Sussex Disc Golf to make the Brighton Ace Race 2018 happen! You are Amazing! Thank you to Steve Lee Rhodes for assisting with course design, maintenance and set up. Thank you for letting me stay at your home, serving excellent food and being a very welcoming guest! You are Amazing! Thank you to Mike Dadson for helping with the registration and raffle tickets. You are Amazing! Thank you to James Smith for transporting most of the disc golf baskets that we used for the Brighton Ace Race 2018 event. You are Amazing! Thank you to Finley Landreth for helping with the raffle draw and shouting out the numbers. You are Amazing! Thank you to Paul Stoddart, Simon Stott and Attila Nádudvari for filming, taking photos and capturing drone photage, can’t wait to see those! You are Amazing! Thank you to Neil Clifton and Andy Newberry for the lift home. You are Amazing! 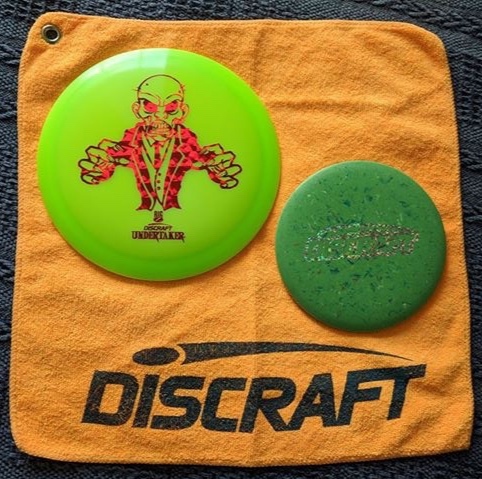 Thank you to Discraft Discs for providing all the player packs and prizes. The 2018 Ace Race Discs have a very low profile and I anticipate being a very popular disc. We can't wait to find out what the name will be for this disc so keep us posted discraft! You are Amazing! 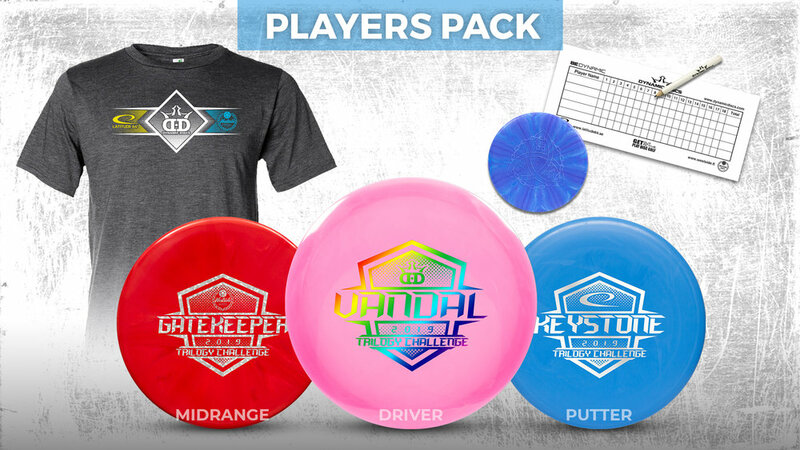 Thank you to Josh Lichti and Matt Krueger at UDisc for proving 4x promo codes for 1 years pro subscription to the UDics app, which went into the raffle. You are Amazing! Thank you to Sussex Disc Golf for hosting the event and providing discs for the raffle. These where provided to Dye Factory Designs. You are Amazing! Thank you to Sam George at Dye Factory Designs for taking the time to design and spin dye the amazing art work on those. You are Amazing! Thank you to Shaun Lewis at Midnight Discs for providing an amazing custom dyed discs for the raffle. You are Amazing! Thank you to Dan Whiteman at Launch Disc Golf for providing a Launch Disc Golf beanie and a free entry to any 2018/2019 Down South Series event of your choice to the raffle. You are Amazing! 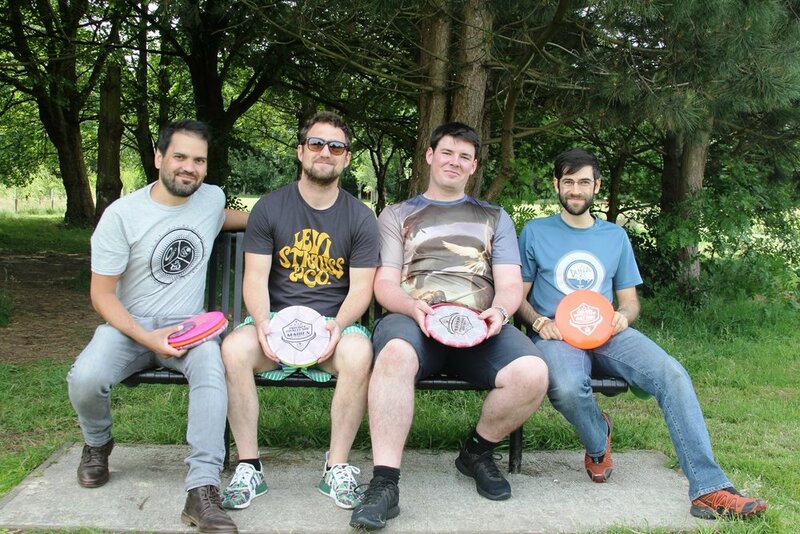 The Manchester Trilogy Challenge was organised and run by Alan Heckman and Oliver Simonsen and sponsored by London Disc Golf Community, Manchester Disc Golf , Cantor’s Food Store and UDisc . 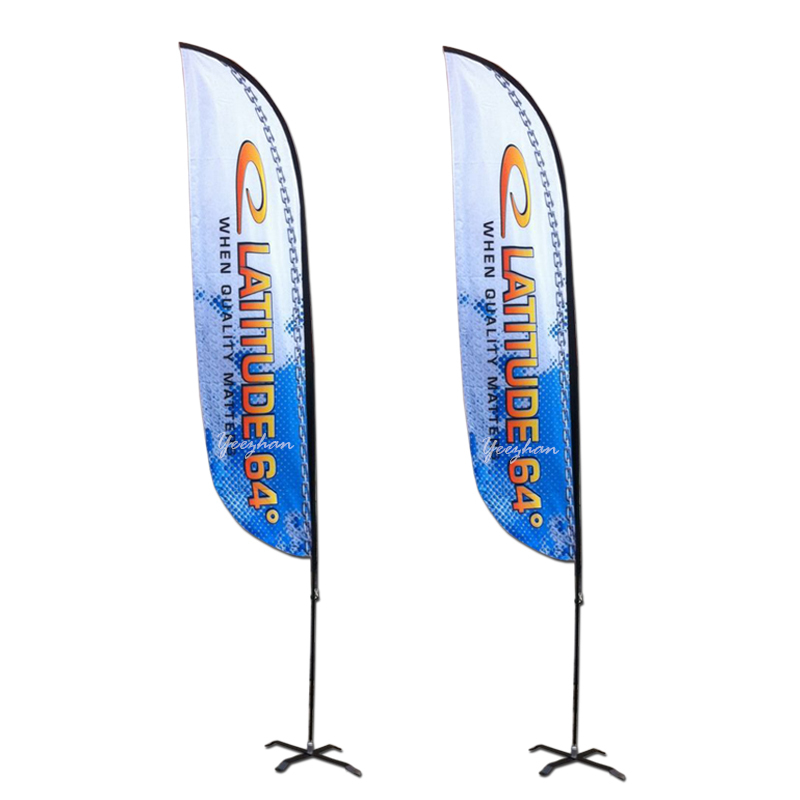 In advance of the tournament, 48 player packs were ordered from Latitude 64 in Sweden all of which were sold. We had 43 players attending on the day, most of whom were playing their very first or second disc golf competition ever. When hosting a Trilogy Challenge all the player packs must be ordered two to three weeks in advance, making it tricky to know the exact number of player packs and the correct t-shirt sizes to get. Therefore, in future, we encourage everyone to sign up as early as possible so as not to be disappointed when arriving on the day. The Manchester Trilogy Challenge was held at Longford Park, which is open to the public and completely free to play. The course has two tee pads per hole, red for beginners and blue for advanced players. I thought it would be interesting to create a handicap for all new players to help level the playing field against the more advanced players, I did this by creating three different formats of play. Beginners played from the red tees in both rounds. Open players started from the blue tees in both rounds while the Advanced division played the red tees in the morning and the blue tees in the afternoon. The graph below shows the players ranked first to last along the horizontal axis and their respective scores up the vertical axis. Had the handicap not been implemented, we would have seen a greater divide in total scores across all four divisions. Having the handicap in place with the three different formats of play, the results show that most of the players are grouped closely together in terms of total score, except for three new players. The handicap was implemented to level the playing field and increase the chances for a non-open player to win the competition. Ranking based on total score. We had many prizes to give away, thanks to all our sponsors. For the Distance competition won by RickRick and the Closets To the Pin (CTP) won by Iain McDougall, they had a choice between a box of Corona, a mini keg of ale or a bottle of red wine, sponsored by London Disc Golf Community. The remaining item went into the raffle prizes. 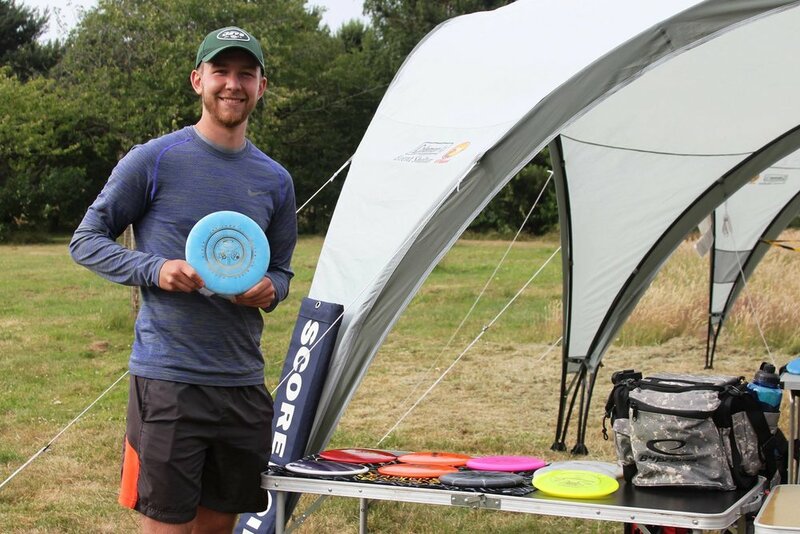 The winner of the Manchester Trilogy Challenge 2018 presented by Manchester Disc Golf and London Disc Golf Community is Evan Smith in the MA1/Advance division with a total score of 106. 24 players entered the Ace Pot at £2.00 per person. 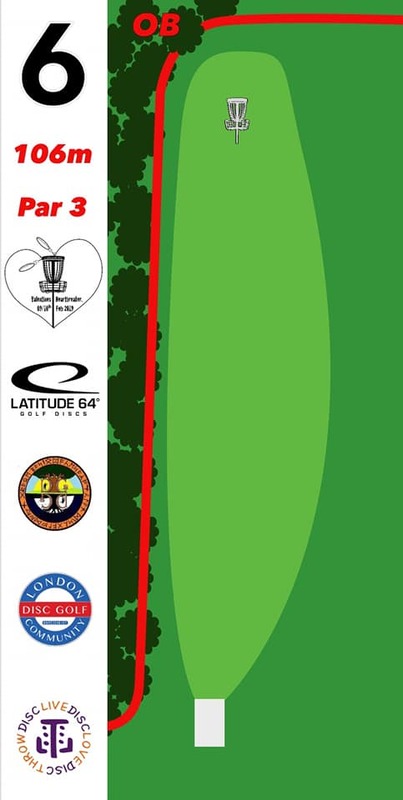 The London Disc Golf Community contributed £35.00 to the ace pot, which comes to a total of £83.00. Unfortunately, no one managed to hit an ace, so the money will be carried over to the next London Disc Golf Community event, stay tuned. The Mega Deal Raffle was a huge success with lots of prices from a massive basket of goodies sponsored by Cantor’s Food Store to Bagels and Bagel Vouchers, A Discraft Undertaker Distance Driver (9|5|-1|2) in bright pink 167-169grams to one year’s UDisc Pro Subscription. The first person that deserves a massive thank you is Alan Heckman, Chairman at Manchester Disc Golf and co-TD of the Manchester Trilogy Challenge 2018. Thank You! Thank you to all the volunteers who help maintain the Disc Golf course at Longford Park, the course looks amazing! Thank you to everyone who helped set up the course on Friday the day before the event and to everyone who came down the course early and helped set up the chairs, tables and gazebos. Thank you to Shelley Heckman for taking all the photos on the day, they look incredible! Thank you to all the players who attended the first Trilogy Challenge in Manchester. Thank you to everyone at Latitude 64 , Dynamic Discs and Westside Discs who make up the Trilogy family, we would not have been there without you. Thank you again to all our sponsors, Cantor’s Food Store , UDisc , Manchester Disc Golf and London Disc Golf Community. Thank you to 2Twenty Media for filming the official Manchester Trilogy Challenge 2018 Video. 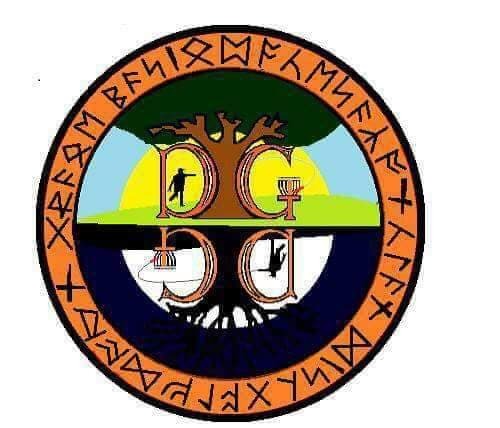 If you want to get involved and give Disc Golf a go, please send us a message on any of our social media platforms or check out our website: www.ldgc.co.uk, LinkedIn, Instagram, Twitter, Facebook Group and Page. Give us a thump up, comment below and share this with your network, this really helps us grow the sport. The UK 2017 Discraft Ace Race Tournament, organised and run by Derek Stoltenberg and Oliver Simonsen. Sponsored by The Cronx Brewery Ltd, Disc Golf UK and Disc Golf School. 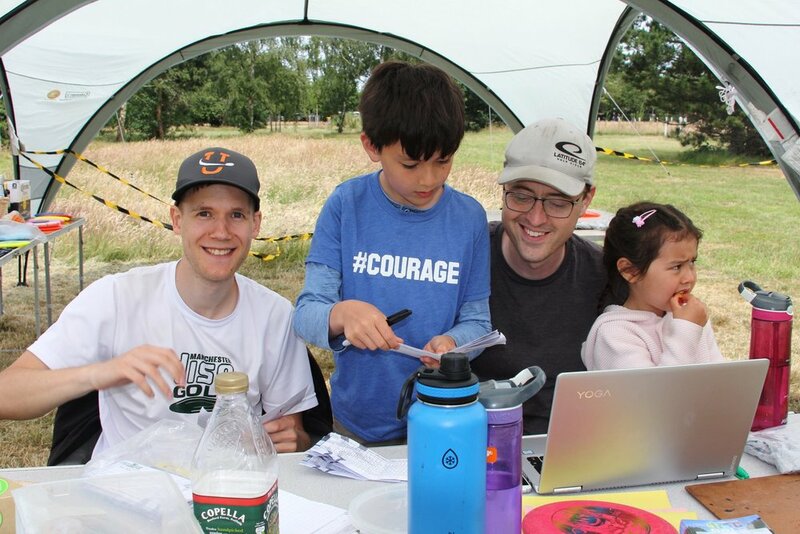 Many tournament directors (TDs) use Google Docs, however, we used DiscGolfScene.com to record all the registrations and recieve payments, this method we believe to be a UK first (Don't quote us on that). 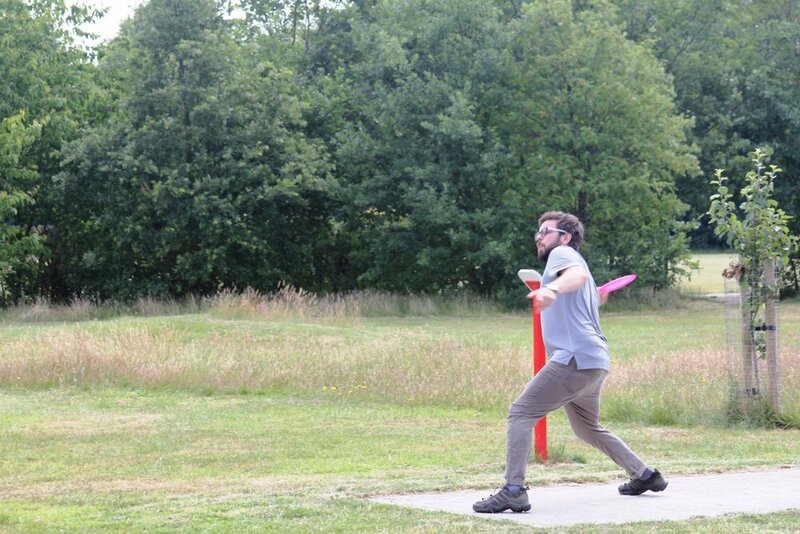 This was our first disc golf event that we organised. We can't wait for 2018 and the warm weather to return, so we can help grow the sport and spread the word of Disc Golf even more. We had a dedicated photographer for the day and all the photos can be found on the British Disc Golf Photography Group. 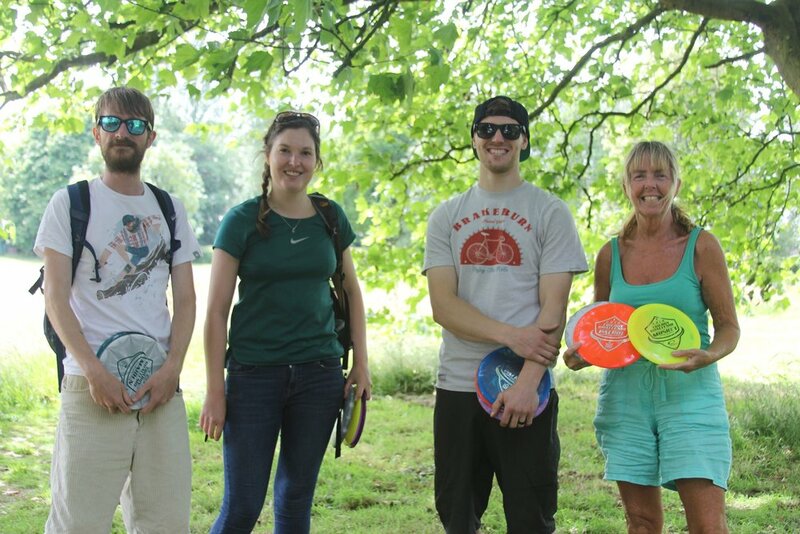 If you want to get involved and give Disc Golf a go, please send us a message on any of our social media platforms or check out the LinkedIn, Instagram, Twitter, Facebook Group and Page. Give us a thumps up, comment below and share this with your network.